Finished your drink? With every sip you not only quench your thirst, but also change the world a bit. Every bottle sold supports projects in the growing regions of our ingredients. An empty bottle does not mean that you have to say goodbye to it. Our bottles can be used for so much more! Beautifying your home, for example. For a life after the last sip, we rely on upcycling. 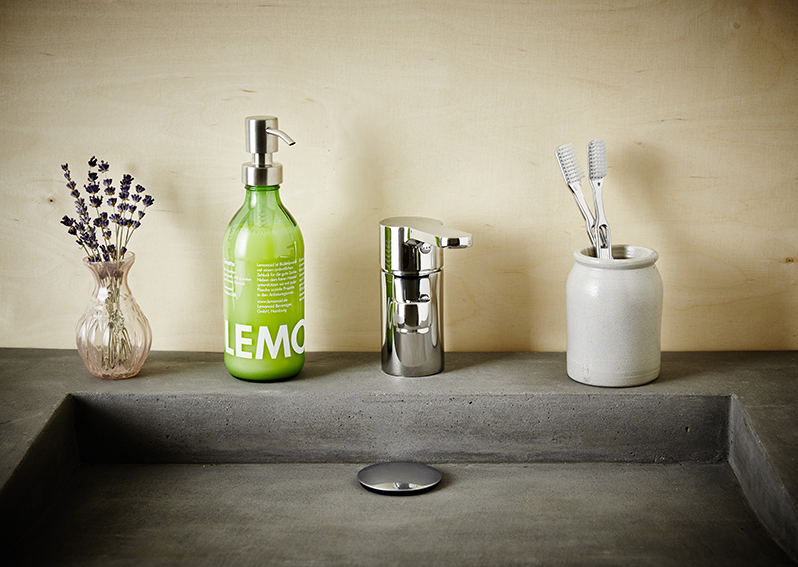 With a bit of craftsmanship we build sustainable design objects from Lemonaid bottles and boxes. The world is enriched by diversity. So is upcycling! That’s why we’ve worked hard to develop various DIY ideas for you – a bike rack for your fixie for example, or a flower bed for the garden and many many more. Together with the handicraft cracks ‘Ghostbastlers’, we have two DIY furnishing ideas for you: a minimalist pendant lamp and a beautiful soap dispenser. No frills – just like our drinks. Nobody likes to sit in the dark. With our DIY lamp you put your ideas for a better world in the right light. So, spot on and rebuild it step-by-step with our instructions. 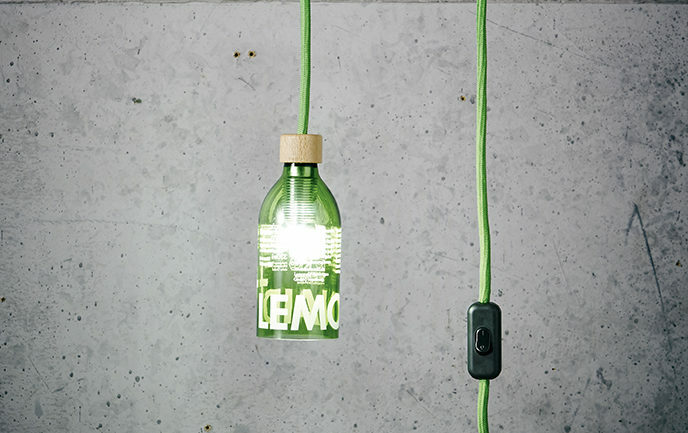 The basis for the lamp: a Lemonaid glass bottle without bottle neck. Our how-to shows you how to cut it off. You decapitated the bottle successfully? Then in our next video DIY tutorial you will learn how to give it a second life as an upcycling pendant light. Illuminating are also the step-by-step instructions for our DIY-Upcycling soap dispenser. With the matching pump transformer for our bottles, you get a great design piece at a very low price – in just a few easy steps. By the way: It is also an excellent gift. Instead of looking for decoration in the furniture store, just pop to your next beverage market. With our empty glass bottles and simple building and handicraft instructions, you can easily produce your own interior design objects!